Rural population, such as that in Bumbuli, relies heavily on kerosene fired wick lamps and hurricane lamps. In 2002, just one percent of the rural population used electricity for lighting, compared to 24% of the urban population. It is not clear whether this situation has changed markedly during the last eight years. 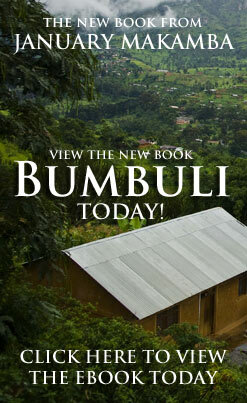 The population in rural Lushoto, Bumbuli included, relied almost exclusively (99%) on firewood for cooking in 2002. Urban residents also depended heavily (70%) on this source of energy for cooking. Charcoal, kerosene and electricity provided less than a third of the energy used for cooking. Again, it is not likely that there has been any dramatic movement away from the use of firewood for cooking purposes by the rural population during the eight years since 2002.